Living in these luxury apartments in the near Old Town neighborhood puts you in the middle of Chicago's art and dining scene. You'll also love the proximity to Lincoln Park and Lake Michigan, especially during the summer months! 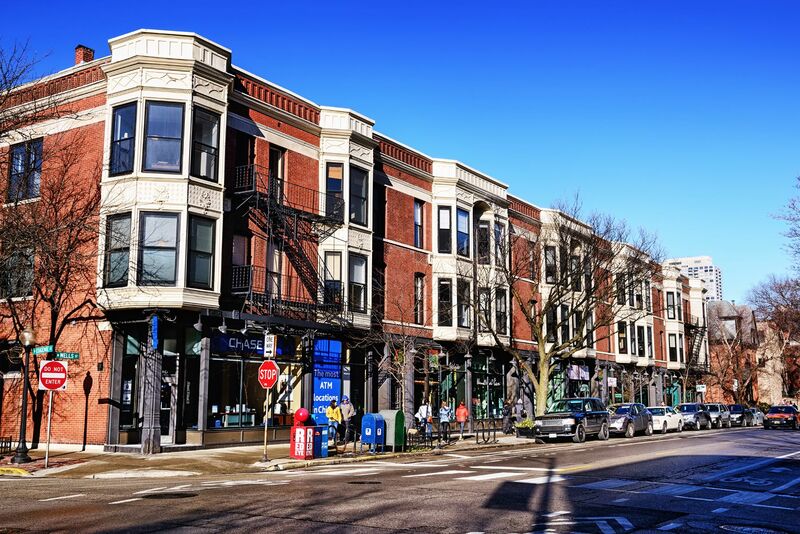 Easy access to public transit, Lakeshore drive, grocery stores, and the downtown Loop make Old Town a convenient location. The convenient location, coupled with the elegant design and views of the city, make this property the perfect place for downtown luxury living. Each unit features condo-grade finishes including waterfall granite-slab countertops, integrated appliances, wide-plank hardwood floors thought out, glass stand up showers and balconies, granite backsplashes, full sized washer and dryer, and state-of-the-art appliances. Living in the Old Town Triangle holds a special pride that ties neighbors together and forms lasting bonds. You'll see people out on their patios or stoops chatting with passersby and dog owners convening at the dog park with both their two-legged and four-legged friends. And don't be surprised if your street is temporarily closed down for a day in lieu of a neighborhood block party, complete with picnic tables, games, live band and lots of home cooked dishes to pass.